A graduate in Mechanical Engineering from IIT Delhi, Vineet Gupta is first generation successful entrepreneur. He also has interest in the packaging and pharmaceutical business but his flagship company is Jamboree, where Vineet spends most of his time. Over the last ten years, he has helped students in successfully applying to Universities as well as securing scholarships and financial aid. Vineet has been actively interviewed by the National Media and is an expert on “Education Abroad”. 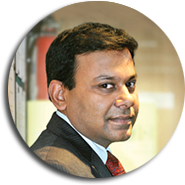 Vineet has also spearheaded Jamboree’s growth to 34 centers across India, Middle East, Nepal and Singapore. As the Director of the company, he is the operational head of Jamboree. Vineet is also a founder and trustee of Ashoka University, a philanthropic initiative founded by eminent scholars and visionaries to provide a liberal education at par with the best universities in the world. Ashoka has been hailed as one of the most inspiring and high quality initiatives in higher education in India. The Economic Times in a recent story had termed it as India’s answer to the Ivy League. Vineet is also the co-chair of the education committee of the PHD Chamber of Commerce. In the spring of 1993, Akrita Kalra - all of 21 years - decided to launch an institute that would help realize the dreams of students aspiring for higher education abroad. Akrita had taken the SAT herself and had secured admission in Brown University in 1989 but could not go. However, in this process she realized that there was a vacuum of information on the process of application to universities abroad, which made it difficult for students to prepare and apply. This motivated Akrita to set up Jamboree. Akrita started Jamboree in a garage in Vasant Vihar. Her exceptional teaching skills drew students to her and very soon she had set up three more centers in New Delhi. Akrita regularly writes for national dailies on education abroad. The national press as well as the BBC has interviewed her. 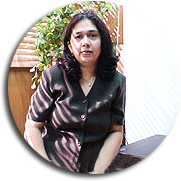 Akrita's skills as a teacher are exceptional and she has been recognized as one of the finest instructors for these exams in North India. She has passed on this training and competence to a team of highly dedicated and qualified teachers who form the core of Jamboree. However, Team Jamboree is not about a few individuals. Our success is due to our excellent team of faculty, student counselors, computer operators, essay writers and support staff, each of whom are committed to serve and help our valuable customers - our students. Do you have any question regarding GMAT Preparation? Call us now at +97144393593 or simply fill in the form below and our course consultants will be in touch to provide you more details to kick start your GMAT preparations! EDUQUEST EDUCATION CONSULTANCY 702, behind Al Mamoura Building (Al Noor Hospital), next to "Paragon Hotel Apartments", above (Delight Photocopy Shop) Al Muroor Road, C - 40. Abu Dhabi. All test names are registered trademarks of their respective owners. None of the trademark holders are affiliated with Jamboree or this website. Test names and other trademarks are the property of the respective trademark holders.